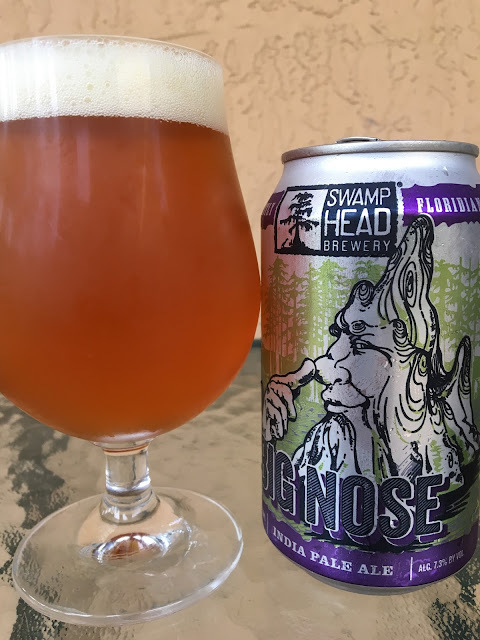 Gainesville's Swamp Head Brewery recently started distributing a few of their beer to South Florida. 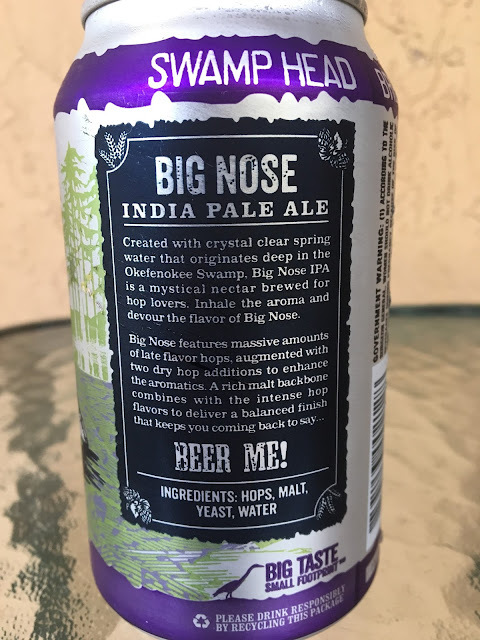 Big Nose India Pale Ale was the first one I grabbed. The can depicts a swamp scene with a local Okefenokee Swamp resident emerging from the water and showing off his big nose. "Inherently Floridian" and the story on the back of the can suggests this is a "mystical nectar," ending with "BEER ME!" 7.3% alcohol. Orange and citrus aroma is there, but not a BIG NOSE, not even close. Flavors are a little more explosive and very nice. Juicy tangerines and citrus jump on your taste buds right from the start. Nicely bitter, a little spicy, hints of pine. Very good flavors, highly enjoyable! A Visit to Veza Sur Brewing Co.